The way I see it announcing the DLC if it's priced could be controversial when it was free for a time in japan, and if that's the case they'll wait to announce it until the game is out but if it arrives free for a time here too, then they should just announce it already. That's a good point. In all honesty, though, even if it is supposedly a weak case I don't think it seems unfair to charge like $5 for it. I guess it would be a little "unfair" since it was free in Japan for a while but on the other hand the series does much better over there than over here. While I'd of course prefer it to be free personally, I would be fine with it being paid because I know the franchise is on much more rocky territory over here. I guess we'll see, but I'm satisfied as long as the complete GS6 story comes over (it is). I'll be very happy to know this comes over too but if it doesn't its not the end of the world. The main game is a lot cheaper in the West though, even when comparing only the digital version. Also a good point. I could see them releasing the DLC a month or some weeks later at a small price tag. I'll honestly be shocked if they don't release the dlc in the US. They've been pretty slow releasing news so I'm not too concerned. As for the case itself, I'm really looking forward to it. 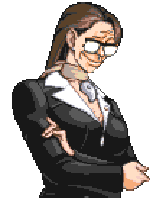 Especially since it looks like Maya gets more screen time this case than the entire game at this point. She wasn't a major selling point for me, but having her and Phoenix against edgeworth is really awesome to me. And I I've always liked Larry. There's a 3DS-focused Nintendo Direct on Thursday, and I assume SoJ will get some coverage so I wouldn't be surprised if we get some info there. Anyone else agree it's a really good filler style case? It's fun seeing the old gang again and I liked Shizuku (and her animations), but the answer behind the time travel is so obvious, there aren't enough characters (making the killer incredibly obvious), the killer confrontation is too short (although that's true for most of SoJ), and the final present feels less like a crowning moment of logic and more like something the police should have found in their initial investigation. Plus I just didn't like Light at all, even after you find out what his deal is. So yeah. Not really my favorite case. Also, I like Larry's shtick of seeing something crazy and drawing it, but it feels like each time he appears the explanation for what he saw is more simple/contrived, and the meaning behind what he saw is less interesting/important to the case. + They really went to far in terms of animations with this episode. I'm really looking forward to this case due to the fact that Maya gets a lot of screen time, and this case just appeals to me in general. Especially the villain, for whatever reason. 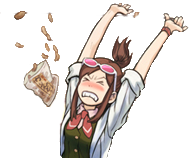 Actually, I'm pretty sure they renamed it "Franzy's Whippity Whip Trip" in the HD trilogy, to make it consistent with AAI. As an AA fan, you should know it's never unintentional. Well, maybe the one in the first game that started it all was, but henceforth, nah. was definitely the x-rays. Whew, even now I can't help but giggle like a little kid. I always knew Phoenix was thick-headed and Edgeworth was thin-skinned, but that's taking it to new levels. Actually, because the case mystery itself isn't all that fascinating, I felt the extra boost on animations and fervor were kinda necessary to help keep things moving. The premise was silly from the beginning, and the devs knew it, so might as well throw in extra flashiness, right? Thinking about it, it's usually Eshiro's ideas that lead to these really silly things. He loves his flashy and over-the-top, after all. Even Yamazaki has his limits. I don't think it was Eshiro who came up with the super long animations though; he was the one who suggested doing "snappy" 2D-like animations (skipping frames to imitate the old sprites) even though they went 3D in the first place. I'd sooner suspect Fuse here, as I have a feeling he's younger and perhaps less attached to 2D (2D sprite animation), like Suekane and Iwamoto were (and even Eshiro, who considers 2D animation part of the Capcom DNA. Which isn't weird, because he's been with the company ever since the Golden Days of sprite-based gaes). I've always had the impression that Eshiro is the one who has the biggest love for the trilogy and especially T&T whereas Yamazaki is the bigger fanboy of the series sin general and Fuse is the guy with all the crazy ideas for animations and Yamazaki and Eshiro have to make sure he keeps it Ace Attorney-like. I have a distinct feeling too that Fuses co-directorship shows in positive areas regarding character animations but he has also over designed some elements like revisualization, honestly the UI for seance and Rayfa's insight and probably this. More should be good, but in places I just feel like too much attention has been paid to certain details and then not in others. I guess it feels a hit unfocused sometimes like a director's cut of a movie where some things probably should've been cut. Both the visual and mechanical side of those gameplay mechanics were supervised by Daigo (head planner), as mentioned in the Gyakuten Tsushin interviews (Like here and here. I already mentioned it in another thread I think, but I personally think the new Thought Route was a vast improvement, and I didn't really have anything against the Visions either. I'm more disappointed none got stuck in Phoenix's hair. Actually, I was referring to Eshiro's concept ideas. It doesn't surprise me that Fuse would go wild with animations. He is a very imaginative person. Hey, if I had this DLC before I finish the main game, do you think it would make the ending feel more satisfying and conclusive (or just nice lol) if I played this first? I don't wanna save this for last if it turns out it's a mediocre way to end the game. It's a mediocre ending, but the case is so detached from anything in the main game that I don't think it counts as an ending to the game. The thing is, if you don't know what happens by the end of case 5, one person's absence is not explained and it sticks out, not that it matters to the case itself. Without too much spoiling: how is it mediocre? 'Cause I really liked Turnabout Reclaimed as a post-game DLC case, and now I'm not sure if this will be worth playing. 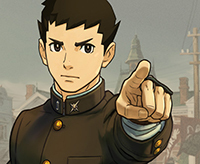 I'm guessing Bliz did some not very approved stuff, but damn you're lucky to be playin the case early. happy marriage and the two lovers get together as fated. Honestly, it takes out a lot of the tension between the two newly weds that the case largely highlights when you know they're gonna be fine somehow. The villain of the case is pretty well written, though, and their backstory is quite tragic. But the limited amount of characters in this case doesn't leave much to the imagination who it could be. 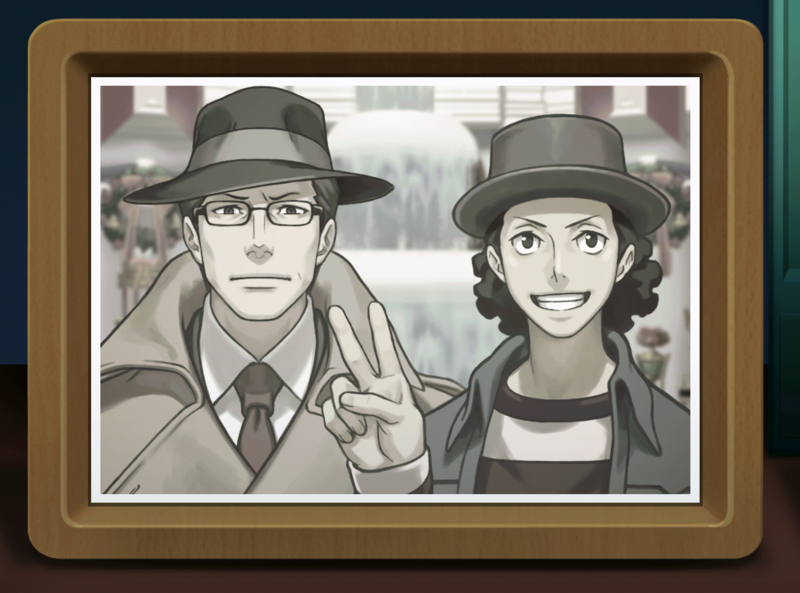 It matters more with how the crime was committed... and how much fun we make of Edgeworth, clearly. If you enjoyed Turnabout Reclaimed, you may like this one. 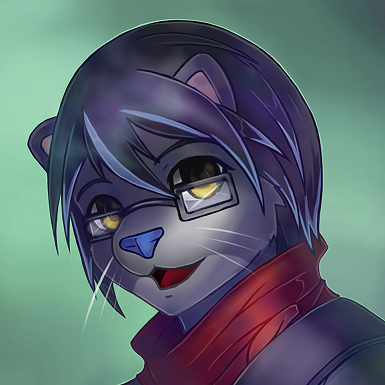 If you don't really care for Mood Matrix, be glad there isn't any of it. There are Psyche-locks, though they're as easy as the rest of the game. In terms of overall difficulty; easy peasy. But dang if some of the wrong answers are delightful. Well, he did want ladies to chase after him, right? Guess he got his wish! 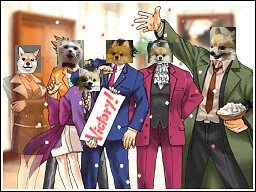 Dual Destinies has rekindled my love for this fandom. Quick question. I don't know if it's spoilery but is there a walkthrough for this case? Just wondering. Even if it is the Japanese version, I'll take it. I thank them both so much! The Trial to the Truth has begun. There are a couple of completed runs of it on Youtube if you search 逆転裁判6 時を越える逆転. Just wondering... How many relationship jokes were made for poor Edgeworth? As far as I recall, at least two if you run through without doing optional stuff; maybe three or four places if you do. 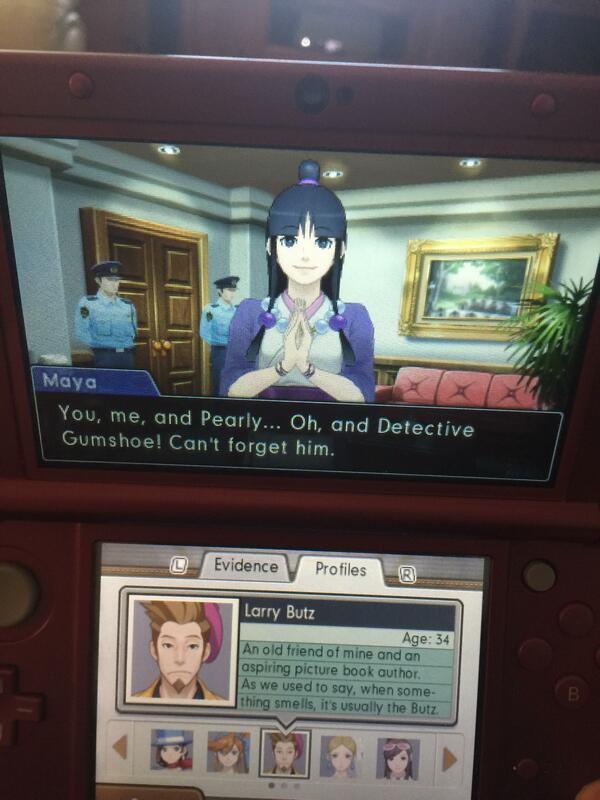 Most of this case is about how annoying it is to chase down Larry, though - as always. If only you'd help me when it comes to a walkthrough. I saw the video walkthrough and I had to take notes but yeah... I'm at the half way point of it and I still got to write down the rest so I can do this perfectly. The butler... Always the butler... It was a nice little case. Part sweet, part sad, part silly. Easy but not too easy, more like hop-along-for-the-ride-and-enjoy-easy. Having at least one more new character would have made it slightly less predictable, though. But the backstory got me. Ellen has something rather Larry over her, which I liked, and although Pierce hardly had a personality at first he made up for it later and I really liked his surgeon-sprites. Plus the name Nichody is fun to say. Larry's new animations were great too, especially the pointing one, and his nose looked good in 3D. The judge said "WHAAAAAAAAAAAAAAT?!" way too much. It was nice to have the old crew back and gathered and I hope they went through the Maya's welcome back-party after the trial. I feel bad for Athena, but hell, her trying to escape from Trucy was hilarious. It was nice to see Maya interact with Ema and Athena. Ellen and Sorin in the lobby really touched me, much to my surprise, but the ending was very cheesy. Poor Larry, I thought him catching the boquet was really sweet. Using fingerprint powder to catch indentations on a page? Did that get brought up in some past game or is that a really obvious trope of mysteries that I just missed? The dialogue between the returning characters is fantastic; it's especially enjoyable to watch Phoenix and Edgeworth bicker with and tease each other in court. But few quibbles aside, this was a really solid case. It truly is great to see most of the old gang back together again. Like the judge said, it's a grand reunion. 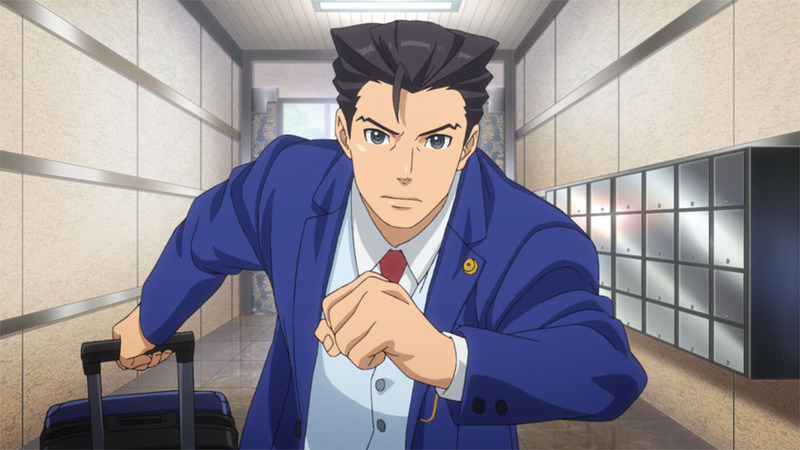 It's good fun, probably the best of SoJ for me, but I'll decide on where to rank the cases after I fully play this game again. I agree that there were too few characters. Once the surgeon was brought up I suspected Nichody immediately. Nichody is the most sympathetic culprit in this game, but I don't think he can redeem himself like Rimes. At least he was able to make peace with himself by the end. I loved Trucy chasing Athena around, of course. 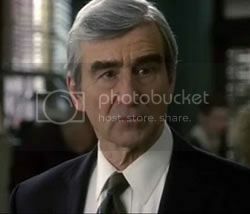 And it looks like there's hope for Larry, until the next game in which his bride gets murdered.